Developed and Published by SNK and released onto the NES, Crystalis (known as ‘God Slayer: Sonata of the Distant Sky’ in Japan) is an Action RPG that never became a massive sales hit at launch but has taken on cult status as a retro title over recent years. Nintendo saw fit to port a version onto the Game Boy Colour in 2000 to flesh out their growing RPG library, which brought a whole second generation of gamers into the fold. Opening with the main character waking from cryogenic sleep a hundred years after the world has been drastically altered by a global nuclear apocalypse, our amnesiac hero discovers that he may be the key to saving this new world from destruction. Aided by four wise sages and a strange woman he faces off against the evil Draygonia Empire and attempts to ensure that the human race has a future. What this means for the player is that past an initial establishing scene of the hero waking and stumbling from his futuristic cryogenic tube, every aspect of the world is as alien and strange to the character as it is to you. Different areas yield different challenges. Controlling on the NES in a similar manner to ‘The Legend of Zelda’ (which released in 1986 for the same console but relied more on action and adventure than roleplaying), the game displays a top-down perspective on the character who controls smoothly in eight directions using a D-pad and can use the NES’ two buttons for attack and special attack/item allocation. The game implements an elemental system that sees different enemies resistant to different swords in the player’s possession, and so encourages regular equipment swapping based on the assortment of monsters on each screen. Experience points dropped by monsters lead to health and attack boosts when a level up occurs. 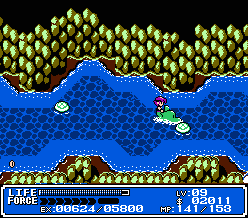 Crystalis heavily channels elements of Hayo Miyazaki’s work at Studio Ghibli. In particular the film ‘Nausicaa of the Valley of the Wind’, and art design is clearly inspired by that anime, with one giant boss based on the insects integral to the film’s premise. Various nods are also made to SNK characters from other games such as ‘Psycho Soldier’ which was in the arcades at the time. The Game Boy Colour re-release changes elements of the games story with a different opening and closing sequence that puts a different spin on events. Other changes include a new soundtrack and a lessening of the elemental system to make it easier on players caught unaware of how the system should work. 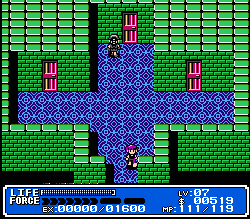 A new dungeon and some graphical redesigns to better suit the screen size of the Game Boy Colour also feature. The gauge at the bottom of the screen looks similar to that of ‘Super Mario Brothers 3’. Although both versions of the game were received well by fans (and are relatively sought after in today’s market) critics scored the game low and although they praised the games artistic flair and interesting setting, they criticised the action elements and collision detection. a digital re-release of the title on the Virtual Console or updated port of any kind is yet to emerge. Whilst the original Digital Devil Story debuted in 1987, its sequel is the first entry into the series that moves away from adapting the novel by Aya Nishitani and sent developer Atlus into virgin territory. The first game was perhaps the first title to ever incorporate monster collection and fusion to customise your party to your personal tastes, a game mechanic that most people today recognise from the Pokemon franchise, and does so within a serious, horror themed environment. Its sequel keeps and expands upon these systems, bringing depth that was unheard of at the time. Exploration is a tense and unnerving exercise. Whilst the game strays from the modern era setting (for the time) that the original used and that Atlus would revisit frequently with variations on the series, it manages to pay an interesting tribute to the original game at its outset by teasing it in an in-game video-game called ‘Devil Busters’ which two young men are playing at the outset of the story. Set in 199X, in the aftermath of a nuclear war that has sent humanity into shelters and caused a dimensional rift that bridges our reality and the demon world. These young men are approached by a demon named Pazuzu who believes them to be the ‘saviours of mankind’ and, after a raid on their shelter by monsters, the pair begin their journey to salvage the remains of humanity. Gameplay is a mixture of first-person dungeon crawling and turn based combat, with the emphasis heavily on the mechanic of taming monsters by learning their likes and dislikes though conversation. These can then be levelled like standard party members in any game of the era, and fused together to create a more powerful monster. Essentially trading in two known monsters for one unknown quantity that may or may not be what you want. A world map highlights points to explore and delving into the underground railroad is commonplace to get between locations. Enemies can be talked into joining your side. The Shin Megami Tensei series (often translated from Japanese as ‘Rebirth of the Goddess’) went on to become the foundation of a huge franchise. Though the early titles went unlocalised due to the clash between the use of religious iconography and adult rated content and the ways in which censorship were affecting titles outside Japan, the series entered the public consciousness through an Anime released in the 90s that adapted the first game and the eventual release of ‘Shin Megami tensei: Nocturne’ (sometimes called Lucifer’s Call) on the Playstation 2. Spinoffs have had more success however, with the Last Bible series appearing on the Game Boy, Devil Summoner and Devil Survivor series having great success and the Persona series being one of the most highly rated JRPGs to this day. 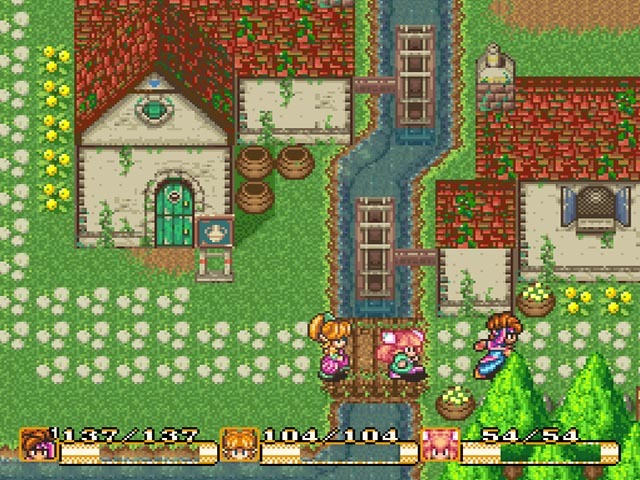 A remake of this game and its predecessor was released with updated graphics onto the SNES but never escaped Japan until the Wii Virtual Console stocked a digital edition in 2012. Once Strategic Simulations Inc (SSI) had completed their Gold Box series they turned their attention to different ways in which the Dungeons and Dragons license could be applied. In total the company would release over 30 titles before they eventually lost the license, but for many Eye of the Beholder (which was co-developed by Westwood Studios) is considered a stand-out game. Similar to the 1987 game ‘Dungeon Master’ and the dungeon exploration segments of their own Gold Box series, Eye of the Beholder takes place 100% inside the confines of a dungeon and handles from a first-person perspective. Unlike the Gold Box games, which employed a turn based, overhead tactical approach to combat, this game would handle battles in a real-time manner without shifting to a specific combat screen, thus keeping the game feeling immersive. Fights are triggered as you approach enemies (or they approach you) and as long as an enemy is in visual range you can begin to attack it. The party split into two rows of two characters in a box shape, with those at the back unable to reach the front without ranged weapons or magic and those at the front taking the bulk of the damage unless the player is attacked from the rear. The game was a beautiful showcase of what a desktop could do at the time. 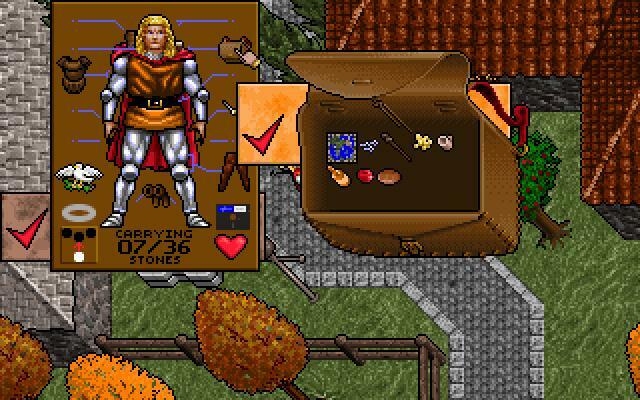 Appearing on the IBM PC, Amiga, PC-98, SNES and Sega CD, Eye of the Beholder opens with a group of four adventurers being summoned to the city of Waterdeep. There they are informed that an evil is brewing in the sewers below the city and the party are tasked with killing it. Upon entering the sewer system however a tunnel collapses, cutting the adventurers off from the outside world and forcing them to press forward in order to escape. As they explore the dungeon they learn of a monster named Xanathar (a floating face surrounded by eyes known as a Beholder as the games title suggests) who is the source of the evil and is also aware of your presence in his sewers. Players will be prompted to create their party in the traditional WRPG style before beginning their journey, and can do so in a manner similar to that found in the Gold Box titles. Whilst not breaking new ground for level design, the combat system was well received by fans of the franchise and graphically the game was quite impressive for the time, taking the first person dungeon scenario to a new level. The games success led to multiple ports, and although a port to the Lynx was planned and advertised it ultimately faced cancellation late into its development cycle. The Sega CD version received a new soundtrack courtesy of ‘Ys’ and ‘Beyond Oasis’ composer Yuzo Koshiro in addition to cutscenes and full voice acting for NPC dialogue (which was scarce given the setting), Both the Sega CD and SNES versions received animated endings that were considered a vast improvement over the text-based congratulations screen in other versions, although they suffered from fiddly controls on a game pad in a game designed for quick and smooth mouse control. A port to the Game Boy Advance was later made that swaps back in a more modern version of the Gold Box tactical combat and more roleplaying elements. This was seen as something of an abomination by long-time fans of the game. Plot sequences are all illustrated. Eye of the Beholder would spawn 2 sequels, ‘Eye of the Beholder II: The Legend of Darkmoon’ and ‘Eye of the Beholder III: Assault on Myth Drannor’, both of which were well received though ported to less systems. 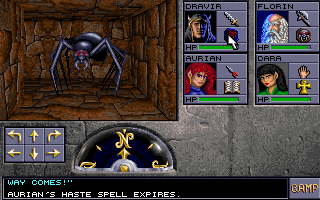 These added some external areas (such as woodlands) and traps similar to those seen in the Wizardry series and although Eye of the Beholder II re-used the same engine, Eye of the Beholder III featured an entirely new one built by SSI in-house, eliminating the need for Westwood Studios to co-develop the title. 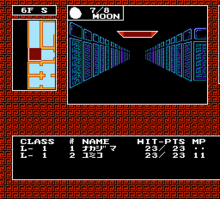 Although using a combat method inspired by ‘Ultima III: Exodus’, and pre-dated by games such as Koei’s ‘The Dragon and Princess’ or ‘Bokosuka Wars’, Fire Emblem is to most modern gamers the first real Tactical RPG and certainly holds the title of the first example of this on a console. 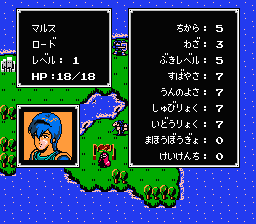 Translating to ‘Fire Emblem: Shadow Dragon and the Blade of Light’, it only saw initial release in Japan in 1990, but birthed a slew of similar titles. Intelligent Systems, having developed ‘Famicom Wars’ for the NES expressed an interest in taking the base formula of their strategic war title and introducing role playing elements. The entire original team reformed to work on Fire Emblem, splitting their attention between working on the project and other games handed to them at the time. 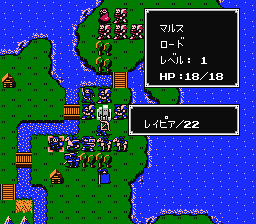 Fire Emblem proved to be incredibly memory intensive, ending up as far more than a re-skinned Famicom Wars, and the team was only able to work around this issue by using a portion of the games memory that was devoted to saving player progress. Keisuke Terasaki acted as the games main director whilst Yuka Tsujiyoko worked on its soundtrack, going on to be the main composer for every subsequent entry into the series. Tactical combat was largely unheard of at the time. Unlike many titles mentioned in Chronology, Fire Emblem launched to extremely poor sales over the first few months of its release, gaining slowly in popularity through word of mouth rather than being the recipient of an extended advertising campaign. 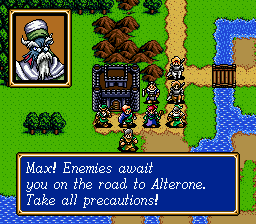 A remade version of the game was ported to the Super Nintendo under the title ‘Fire Emblem: Mystery of the Emblem’ which also contained a second new scenario that acted as a sequel to the original game’s narrative. A second remake entitled ‘Fire Emblem: Shadow Dragon’ was made for the Nintendo DS handheld device in 2008, again new content was added including some story segments that were cut from plans for the original title. In terms of gameplay mechanics, the game takes players through a series of battles throughout which units that run out of HP are killed off permanently and cannot be revived. Turn based in nature, the field is broken down into a square grid across which units move individually in the player ‘turn’ before the opposing side can move theirs. Some units are more powerful or weaker against others of set types and learning these is essential, as is purchasing and equipping new items. Additional characters can be added to the party and occasional plot relevant conversations will take place. The plot itself revolves around the prince of a small kingdom called Marth, who must reclaim the legendary Falchion blade and save his country. Characters suffered from permanent death in the field. 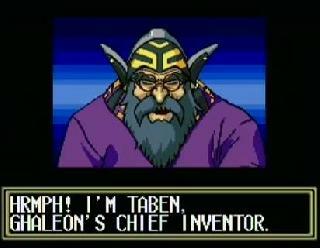 Fire Emblem would go on to produce a series of games released exclusively for Nintendo consoles and containing 12 entries at the time of writing. A further selection of spin-off games and remakes further bulk out this total. Although Fire Emblem didn’t release outside of Japan until 2003, the series has gained a mass following and characters have had prominent cameos in other Nintendo titles including the ‘Smash Bros’ series of brawlers. It’s thanks to these cameos that the interest in Fire Emblem peaked and those outside Japan finally got the chance to enjoy the series on the Game Boy Advance. Also known as ‘Seiken Densetsu: Final Fantasy Gaiden’ in Japan and ‘Mystic Quest’ in Europe, Final Fantasy Adventure was released on the Game Boy as an Action RPG developed to rival Nintendo’s ‘Legend of Zelda’ franchise and to broaden the Final Fantasy brand after the ‘Final Fantasy Legend’ was deemed a commercial success worldwide. An iconic opening sequence that sets the scene beautifully. Square had actually trademarked the title ‘Seiken Densetsu’ in 1989, with the intent to use it for a project with the subtitle ‘The Emergence of Excalibur’ and which was to be developed by Kazuhiko Aoki for the Japan-only Famicom Disc System (which enabled the NES to read floppy discs). Plans were made for an epic tale spanning 5 discs, making it one of the largest projects Square had ever produced, however despite already taking pre-orders on the title, it was cancelled in its early stages as the popularity of the disc system waned. After the release of Final Fantasy, Square offered designer Koichi Ishii the chance to direct a spin-off series set within the same franchise. This began work for the Game Boy under the title of ‘Gemma Knights’, however Square chose the use the trademark they’d already purchased and the game was released as ‘Seiken Densetsu: Final Fantasy Gaiden’ in Japan before being rebranded as ‘Mystic Quest’ for Europe and finally ‘Final Fantasy Adventure’ for the American market to closer tie it to the franchise. Ishii outlined the basis of the games story and scenario writer Yoshinori Kitase helped to flesh out the games script, including themes of hope and renewal. Ishii designed all of the characters included in the final version of the game himself, whilst Goro Ohashi was responsible for the development of the games systems. Nobuo Uematsu allowed the use of his Chocobo theme from Final Fantasy II to be remastered for the Game Boy, and composer Kenji Ito wrote and additional 16 tracks in addition to doing so, fleshing out the world and its themes considerably. Designed to have a more hopeful and playful nature than its main series cousin, the games action/adventure style would make it a perfect fit for Nintendo’s hand held device. The gameplay was simple, building on what had been done in ‘Crystalis’ by allowing freedom of movement within the screen-to-screen progression of the ‘Zelda’ series and equipping multiple weapons for puzzle solving. Levelling up allowed the player to choose which stat to boost, and a large inventory of items and AI partners for some segments of the game were included. Combat was designed to run on a special gauge displayed at the bottom of the screen, and whilst the player could attack at any time and in any direction, when the gauge was full additional damage would be done. Attacking early would empty this, preventing a special attack from triggering and forcing the player to choose between killing an enemy quickly or dodging to allow for the time to pass and deal more damage. Willy actually has long-reaching plot ramifications despite dying in the opening sequence. The game was a commercial success, selling 700,000 units worldwide with 500,000 of those within Japan. Square were so impressed with the game that they allowed Ishii to break away from the confines of the series being a Final Fantasy spin-off and rebranded it as the first instalment in the ‘Mana’ or ‘Seiken Densetsu’ series, which would see a sequel produced for the SNES under the title ‘Secret of Mana’. An updated port for the Game Boy Advance under the title ‘Sword of Mana’ dropped the original title and contained a revamped script with redrawn graphics similar to those of its SNES counterpart. A 3D remake was announced in 2015 for Playstation Vita, Android and iOS devices under the same new title. A rarity at the time, Crystal Warriors was developed exclusively for the Sega Game Gear, a handheld console that was devised to rival the Nintendo Game Boy and included a colour screen. Although the Game Gear never beat out the handheld war, it did lay claim to the only portable Tactical RPGs, a new genre that was only just beginning to find its footing and owing its roots to the combat seen in the Ultima games and Gold Box series. More specifically it successfully replicated the style of battles seen in ‘Fire Emblem’ on the NES whilst producing a significantly prettier experience, appearing in the gap between the original Fire Emblem and its sequel ‘Fire Emblem Gaiden’. The game follows the adventures of idris, the princess of a kingdom called Arliel. The evil Jyn have overrun her father’s lands and stolen three of the four elemental crystals used to keep the peace. Taking to arms, she leads a squad of warriors through the lands of Arliel and tackled the elemental governors to reclaim these crystals before facing off against the mysterious Emperor Grym, overlord of the Jyn. 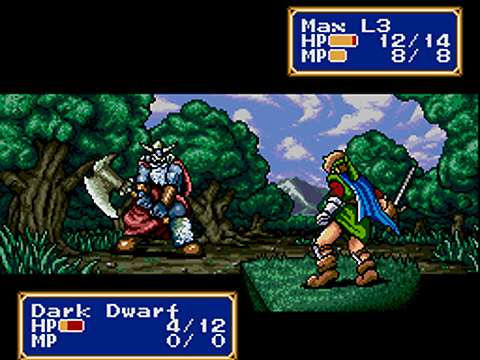 The story of the game is imparted in text sequences at the game’s opening and closing, with the duration of play being a series of tactical battles using a system similar to what would later be used for the Shining Force series. The player, starting with a total of 9 characters, starts on one side of a grid-like map and must progress square by square to occupy the enemy castle on the opposite side of the screen. Locations are varied to provide tactical differences and each enemy type possesses an elemental weakness that is matched by one or more members of the player team. Exploiting these weaknesses is key to winning a scenario as units can attack with melee or ranged weapons and magical spells. The game included a two player mode, accomplished by connecting to another Game Gear via a link cable. One player would take on the role of the princess, whilst another took on the role of her evil counterpart Princess Cham. Both sides then chose 8 additional units to field before battling each other in a turn based fashion. Victory could be accomplished by wiping out the opposing forces or capturing their fortress. Between battles the player has the option to visit towns, rest, buy weapons/spells and recruit new characters in addition to purchasing information about the next level to help him/her devise a strategy. Crystal Warriors showed that the Game Gear could rival consoles of the time graphically. Graphically the game is on-par with many releases on bigger consoles of the time, thanks in part to the colour capabilities of the Game Gear and to the graphics being produced by Kugatsuhime, a Japanese video game company at the time who specialised in animation. Each character is represented both by a sprite on-screen and a larger more detailed illustration that appears when that character is selected to help the player know who is who on the smaller screen size of a hand held device. At the time of launch the game received praise from magazines and reviewed well, setting the stage for the creation of Shining Force and ascertaining the viability of portable games with more tactical complexity than the average JRPG. A sequel to Crystal Warriors would be developed and released entitled ‘Royal Stone’, but sadly it never saw release outside of Japan. The jump from the NES to the SNES caused a major graphical overhaul in many games of the time, with the advent of 16-bit graphics allowing for a broader colour pallet than had previously been possible on the 8-bit systems of the time. After completing Final Fantasy III in 1990, Square planned to develop two Final Fantasy games. One for the NES and the other for the SNES (FF4 and FF5 respectively). Splitting attention like this caused heavy financial drain on the company however, and with the public shifting to 16-bit consoles the decision was made to drop the NES game and focus on the newly retitled Final Fantasy IV for the SNES despite series director Hironobu Sakaguchi stating that the NES title was 80% complete at the time of its demise. The first project of lead designer Takashi Tokita as a full time employee at Square, he replaced Hiromichi Tanaka who had been main designer on Final Fantasy III and who had chosen to reduce his role in development of the fourth title in the series. This decision was largely brought about by Tanaka’s desire to do away with separate combat screens and have all action take place on the map as players explored, creating a more seamless environment. He would later drop out of the games development altogether and leave it in Tokita’s hands to work on Square’s action RPG, the ‘Secret of Mana’. In all 14 people worked tirelessly on Final Fantasy IV for a year. Battles look simple by our standards today but the game could still kick you arse if you didn’t pay attention. Nobou Uematsu returned to compose a soundtrack for the latest title in a series with which he was becoming synonymous. He’s stated that the process of composing for the new SNES was excruciating, and involved a great deal of trial and error with the sound staff eventually moving into their office and sleeping in sleeping bags under their desks at Square headquarters. The score was well received however, and the quality of the composition in such a limited medium is still considered a triumph to this day. Sakaguchi outlined the story of Baron’s royal air force, ‘The Redwings’ to Tokira, who set to work writing scenarios immediately, citing his desire to have been an actor as to the dramatic nature and flair that the script displayed. After watching Formula One racing, Sakaguchi was inspired to revamp the turn based combat system into the Active Time Battle system (ATB), which allowed for every character on screen to be acting according to their own timer and added dramatic tension to fights. This system was realised by Kazuhiko Aoki and Akihiko Matsui. The decision to assign classes to each individual character in a rotating rosta rather than focus on job swapping as seen in Final Fantasy III was decided based on the narrative structure of the game and the concept of the lead character redeeming himself on his journey became a major focal point, although the games script was heavily cut for length in order to meet the cart restrictions on the SNES. Amano returned to design characters and artwork, pleased that the newer system allowed for more depth of illustration than the NES had offered. Towns look simple but they are a pleasure to navigate and full of hidden items. Critically acclaimed on release, Final Fantasy IV set the standard for the JRPG at the time of launch. Although retitled to Final Fantasy II outside of Japan due to entries II and III in the series never seeing release in the west, the game was also made significantly easier due to the perception that JRPGs weren’t as popular abroad because they were too difficult (a mistaken impression that would later see ‘Mystic Quest’ poorly received). Nintendo at the time censored elements of the game, with the spell ‘Holy’ renamed ‘Pearl’ and the move ‘Pray’ eliminated entirely. Direct references to death were also removed despite several characters in-game dying on screen as a part of the narrative. Remakes for various platforms including the Playstation, Game Boy Advance, PSP and a complete 3D revamp for the Nintendo DS have been produced over the years, with the game remaining as popular as ever due to its strong central narrative and endearing characters. A sequel series entitled ‘The After Years’ was produced set within the games world and timeline, with a second shorter special instalment named simply ‘Interlude’ set between the two included only the PSP only ‘Complete’ edition. The first 16-bit instalment into the Dragon Quest series released onto the Super Nintendo in 1992 and once again brought together designer Yuji Horii, artist Akira Toriyama and musician Koichi Sugiyama. 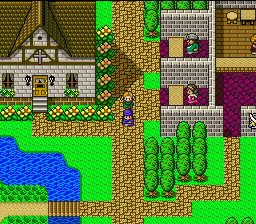 Much like ‘Final Fantasy IV’, the game features a graphical style that feels like a colour upgrade over sprite work that would have functioned equally well on the 8-bit generation that pre-dated it. Environments looks simple, but are through their design and presentation more complex structures rather than relying on the wow-factor of later SNES titles. Sound too is muted as the change to the sound chip in the SNES brought unexpected challenges to a composer more used to working with earlier hardware. Luckily the game shines in its ability to tell a story. Locations are cleverly built to feel intricate. Following the life of the ‘Hero’, the game chooses stages of his journey from a young age through to adulthood to incorporate the breadth of his life. At its outset you’ll be a young child travelling with your father (Papas or Pankraz) who mourns the loss of his beloved wife and is a figure of great strength in the early game. Later you’ll encounter two girls, both as children and as an adult and which of the two you romance and marry decides the look of your children. A third act that sees you and your wife awoken from being turned to stone by your own children. The games main strength lies in its ability to disrupt your expectations. Your father dies rescuing you and leaves you with the knowledge that your mother is alive somewhere before tasking your with his life’s work, to seek out a chosen one who can save the land from chaos. In a twist you’re not actually playing as this chosen one, but instead your child turns out to be the one to save the land. Along the way you learn stories of your family’s history and your father’s courtship of your mother, and become entangled in the trademark local problems of the Dragon Quest series. It’s an involving and emotional game that has a heavy focus on family. 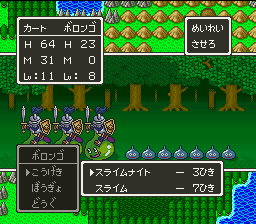 Dragon Quest V also introduces the concept of monster taming to the series, allowing you to draft monsters you encounter into your party. This is accomplished by leaving an empty spot in your line up and if your strong enough a monster will offer to join you. The game includes 40 monsters to recruit, which makes for a huge cast to play with alongside the human characters you’ll meet. The system would go on to inspire the ‘Dragon Quest: Monsters’ series, which would be developed as a rival to the popularity of the ‘Pokémon’ franchise. Some of the encounters can feel overwhelming at first. Sadly at this point in time Enix had given up on releasing any of their titles outside of Japan, and so despite the popularity of Square’s rival series fourth instalment ‘Final Fantasy IV’ on the SNES the game never received an English translation. Dragon Quest V was later remade for the Playstation 2 in 2004 by Atre Piazza and Matrix Software, incorporating fully 3D graphics replicating the style and environments of the original title. Unfortunately this too never saw a release abroad. In 2008 the game was ported to the DS and finally save a translation worldwide in 2009 with the subtitle ‘Hand of the Heavenly Bride’ attached to it. This version added a third female character as a potential wife/mother who turns up in the game’s opening boat scenario and who Yuki Horii jokingly commented “nobody in their right mind would pick” and the “it was the perfect way to torment players just a little more”. A manga was also released at the time, drawn by Chino Yukimiya which ran from 1997 to 2001, keeping interest in the game alive far longer than other titles of the period. Interestingly it follows the hero’s son in the 10 year gap between instalments in the game whilst the player is turned to stone, and is considered canon to the games narrative. Developed by Game Arts as part of a conscious attempt to create an RPG that would primarily focus on quality animation and storytelling, Lunar was released onto the Sega CD, an add-on to the popular Sega Mega Drive that allowed the aging console to play games from CD, thus opening up huge amounts of storage stage and allowing for video and music of previously impossible quality. The development team was headed by writer and novelist Kei Shigema, who provided a story designed to be considerably different to the RPGs of the time. There were felt to contain “story, but no storytelling” in the opinion of the team at the time. Exploring the capabilities of the Sega CD allowed the team to use real video playback in full colour rather than the 16-bit that the Mega Drive would be capable of alone, and so animator and artist Toshiyuki Kubooka oversaw the planning of multiple fully animated sequences that would be partnered with real voice-over work to better immerse the player in the Lunar world. Having largly worked on shooting and platforming titles, Game Arts founded a subsidiary company to handle the games various resources named Studio Alex after the protagonist of the game. Although many assets made it into the finished title, some additional ambitious material had to be scrapped whilst in development in order to make the deadline for release. Bucking the recent trend to incorporate Science Fiction elements into their story, the group dedicated themselves to an entirely Fantasy based narrative, with focus put on the history and mythology of their fictional environment. The game opens on the town of Burg where a young man named Alex idolises the fallen hero Dyne. Alongside his adoptive sister Luna, their talking cat/bird hybrid Nall and best friend Ramus, he embarks on his first real adventure and enters the Dragon Cave in search of a valuable diamond. There he meets Quark, an ancient dragon who senses potential within Alex and sends him on a series of trials to meet other dragons and become a Dragon Master. Over time the story gains momentum by introducing multiple plot threads that cumulates in a battle against a magic emperor and the discovery of how important Luna’s role is to the tale. The focus on the groups close friendship, likable characters with personal growth and depth to the fictional world come together to make Lunar’s story quite special. Anime style characters are rendered in great detail. The music for Lunar was composed by Noriyuki Iwadare, Hiroshi Fujioka, Isoa Mizoguchi and Yoshiaki Kubodera who used the CD quality capabilities of the medium to create a soundtrack more advanced than any other at the time, with an opening theme sung by Mayumi Sudou in the Japanese version. The English edition of the game features a rearranged version of the same track to feature more urgency and drive and used Shiya Almeda’s voice instead. Voiced sequences in cutscenes in both the Japanese and English versions totalled up to only 15 minutes of dialogue in the whole game, but at the time was a huge addition to any RPG title. Whilst the original release contained performances by well known anime actors and actresses, the English language equivalent focused on a cast of previously unknown performers. The full English cast would later reassemble to reprise their roles for the games remake on the Playstation. Unlike many games at the time, Lunar was built in close collaboration with Working Designs, a small California Based publisher who had localised their titles in the past. Realising that handing a script totalling 4mb in size to translate would be a mammoth task, both sides worked closely throughout the production process and ultimately the translation itself only took 8 weeks. This offered a chance for Working Design to make suggestions, with chief write Victor Ireland introducing new concepts to the game up to and including influencing its finale. Light hearted comments and jokes were sprinkled into the translation throughout to make the game lighter in tone in its earlier segments. Locations are tightly designed and all relevant to the overarching plot. At launch 100,000 copies of Lunar were sold in Japan, amounting to the full production run in its year of release and selling nearly as many copies of the game as there were Mega CDs in circulation at the time. Sega credits the game with pushing up sales of their system at the time, and it remains the highest selling title on it in Japan, and is second only to ‘Sonic the Hedgehog CD’ worldwide. The game was voted Sega’s best by readers of Japanese magazine ‘Megadrive Beep’ for 17 straight months before being dethroned by ‘Shining Force II’. As the first game in what would become the Lunar series the title established many of the themes and characters that would reoccur throughout its run. A remake entitled ‘Lunar: Silver Star Story Complete’ was released for the Sega Saturn, Windows, Playstation and iOS that included additional cast members and scenarios whilst a version entitled ‘Lunar: Silver Star Harmony’ was made for the PSP and featured a new isometric viewpoint and hand drawn characters and backgrounds. This edition also made Alex considerably more talkative and fleshed his character out considerably. The project that started life as ‘Makai Touchi SaGa’ on the Game Boy and was retitled to the ‘Final Fantasy Legend’ for western release would spawn two direct sequels. 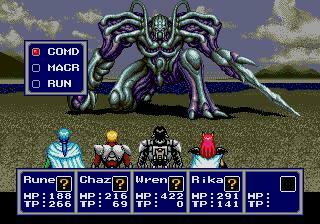 ‘Final Fantasy Legend II’, which added a fourth race type in the form of Robots and fixed a lot of the smaller niggles that people had with the original, and ‘Final Fantasy Legend III’ which drops features such as weapon durability and focusses on a tightly scripted story concerning a flooded world and time travel. These would become the first three entries into the SaGa series in Japan, and soon Akitoshi Kawazu was given the offer to migrate the series from the Game Boy to the Super Nintendo (SNES). 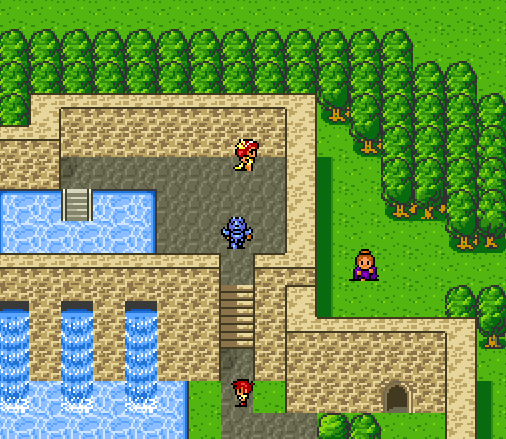 Similar in appearance to ‘Final Fantasy IV’, it was developed in the same period. Breaking away from the constraints of working on a hand held device enabled a much more ambitious project to be conceived. Modifying the title to ‘Romancing SaGa’ to keep a rough family connection to the original Game Boy trilogy, Akitoshi Kawazu set about constructing a new trilogy for Nintendo’s 16-bit console. Drafting Tomomi Kobayashi, who would serve as character illustrator for the whole Saga series from that point onward, a distinctive look and feel was conceived that was very different to the sister-series Square was producing in Final Fantasy or would continue to develop with the Mana series. Set within the fantasy world of Mardias, a creation of the God Marda, the player is encouraged to take on the role of one of 8 different characters who each have very different backgrounds, homes and starting points within the games narrative. The player is also prompted to select the profession of that character’s parents, which will affect their strengths throughout the game. The story centres around the aftermath of a war in the heavens between gods, which spills out onto the world of Mardias when the loser is imprisoned there and drained of power by 10 Fatestones. Two other lesser gods who have been stripped of their powers and a gathering evil from within Mardias seek to release Saruin from prison and begin their revenge. Each of the 8 main characters within the narrative has their own reason for becoming involved in this conflict. After battles characters gained random boosts to key stats. 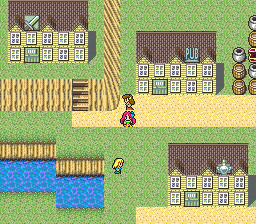 Using systems similar to those seen on the Game Boy instalments, in particular the concept of level-less character growth that Kawazu first introduced into ‘Final Fantasy II’, Romancing SaGa finally masters the mechanic in a way that feels rewarding to the player. Any character could equip any weapon, which are treated as singular items, meaning that whilst a character may be extremely proficient in using one sword, switching it out for a more powerful sword would require that a proficiency be built back up again. Weapons directly feed into battle formations with attack ranges featuring heavily. On launch the game was a commercial success despite its reputation as a tough game to beat, selling over 1.3 million copies to this day. It was however the first game in the SaGa series that Square didn’t export to the west. Remakes for the Wonderswan Colour and Playstation 2 were also well received, with the Wonderswan edition having a small graphical face-lift whilst the Playstation 2 port added 3D graphics and a completely rearranged soundtrack by composer Kenji Ito. It also added voice actors to all of the major characters and a theme song sung by Masayoshi Yamazaki. ‘Romancing Saga 2’ would follow shortly in 1993, with ‘Romancing Sage 3’ being released in 1995, capping a trilogy of games on the SNES. Both received praise equal to the original and sold extremely well, but never saw a release outside of Japan. The Saga series would evolve again into ‘SaGa Frontier’ on the Playstation when Square and Nintendo parted ways in the late 90s and has multiple new titles slated for release in 2015/16. Whilst Fire Emblem earned the title of first true Tactical RPG, it’s Shining Force that has moulded our perception of what a tactics game should look like the most. The sequel to ‘Shining in the Darkness’ which was a first person dungeon crawler released for the Mega Drive in 1991, this second game in the series drops everything but the visual style of the world and rebuilds itself as an involving, overhead fusion of ‘Final Fantasy’ and ‘Fire Emblem’. An army of 12 characters can be fielded into any battle from a selection of 30 possible recruits. The game switches between exploration/story segments that are played from the traditional JRPG overhead viewpoint and turn based combat. Unlike ‘Fire Emblem’, all participants in a battle move according to their stats, both in distance of movement and turn order. This means that instead of moving all of your characters and then passing the turn on to the enemy, the action order of every individual is mixed and keeps the flow of a battle changing as enemies or allies fall. Engaging in a battle will bring the screen to a more detailed rendition of the actions being taken, rendered entirely using huge sprites that brim with detail, before dropping back to continue the battle. Attack ranges, movement and other actions are based on a square grid, and the bare bones of this system would progress on to inspire everything from ‘Final Fantasy Tactics’ to ‘Disgaea’. Portraits for every playable character show off great design work. Despite being a sequel to a successful title, Sega allotted only a minimal budget to the development of Shining Force. The games development team, directed by Yashuhiro Taguchi and Kenji Orimo and produced by Hiroyuki Takahashi, have gone on record to state that they’d not played or been directly influenced by ‘Fire Emblem’ at the time of the games creation, but that they were aware that it was a similar tactics based title that had done quite well for itself. When Takahashi was later questioned about the similarities between the two his response was “the temp of that title was so bad that it wasn’t something I wanted to play”. He does however cite ‘Dragon Quest’ as an influence, and remembers coming to the rest of the development team and asking them to take the model of that series and “make them more fun.” An obscure RPG for the PC named ‘Silver Ghost’ is also credited as an inspiration. 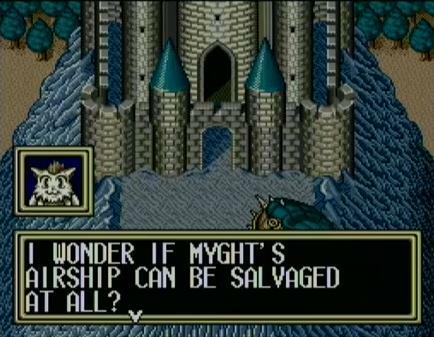 Whilst releasing to modest success in Japan, the English translation of Shining Force contains several odd and confusing errors or omissions that muddy the narrative. Most obviously the backstory of the games protagonist (Max) is omitted entirely, with the original having him be an amnesiac who washed up on the beach and was rescued by the character of Lowe, who serves as his best friend. It is later revealed that Max is in fact the brother of Lord Kane of Runefaust, a major villain in the game and doubly confusing when Kane refers to him as ‘brother’ in one scene. This causes a major loss of stakes when the two finally clash and hampers the story. Lesser errors include mistranslating some names in such a manner that when those characters later cameo in sequels they are impossible to recognise, switching between pronouncing Kane and Cain in-game, and miss-labelling some elements of the game repeated from ‘Shining in the Darkness’. Larger sprites for combat sequences are wonderful. 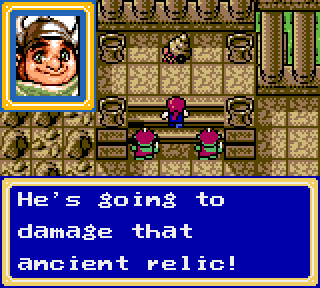 Regardless however, the game was received well in the west and was proclaimed a “truly unique RPG masterpiece” by ‘Retro Gamer’ magazine when it was voted 86th best Retro game ever. It also received a 92% score on launch from the publication ‘Mega’. A sequel, ‘Shining Force II’ was put into production and would add better graphics, more advanced storytelling and varied environments to the games flow whilst keeping the basics of combat unchanged. ‘Shining Force III’ would later appear on the Sega Saturn split across three scenarios in an ambitious attempt to tell an epic story of a war seen from 3 individual sides in the conflict, however only the first instalment would ever see translation into English. A remake of Shining Force was released for the GBA under the title ‘Shining Force: Resurrection of Dark Dragon’ that reinstated the plot along with adding new characters and a card-based mechanic that can be employed in battle. An iOS port of the original game was produced that emulated the Mega Drive, although it was less well received due to the quality of the emulator Sega was using at the time. It has since been pulled from the App store. Two Game Gear exclusive titles, ‘Shining Force: Gaiden’ and ‘Shining Force: The Sword of Hajya’ were also released extremely quickly after the launch of Shining Force, with Gaiden within the same year at mere months after release. 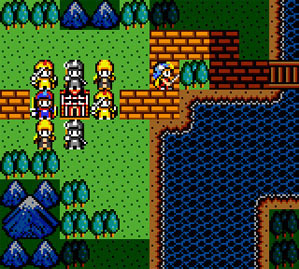 Closely tied to both the original and Shining Force II, they were exceptionally well received and brought the same core gameplay to the mobile market. A remake on the Sega CD entitled ‘Shining Force CD’ combined the pair into one game using the graphics from ‘Shining Force II’. Both deal with a war between the forces of Cypress and worshippers of Iom. ‘Shining Force Gaiden’ pulled off a visually similar style to the original on the Game Gear. Conceived not by Ultima creator Richard Garriott, but instead by Paul Neurath (an employee of Origin Systems) in 1989, Underworld brought a first person perspective to the land of Britannia. Fresh from completing work on a title named ‘Space Rogue’ which was a hybrid of 2D tile based RPG and 3D space flight sim, Neurath was convinced that he could provide a more immersive experience. Having been bred on a diet of ‘Wizardry’, he believed that the game ‘Dungeon Master’, which featured a detailed first person perspective was a “glimpse into the future” and in early 1990 wrote a design document which he titled ‘Underworld’. Contacting fellow Origin employee Doug Wike for concept art, he was provided with a proof of concept animation that depicted the games interface and a creature moving toward the player in real-time. This animation would be the guiding light for the games production and a constant source of reference throughout development. Neurath later would found a production company called Blue Sky Productions in New Hampshire with the sole intention of making Underworld a reality. On his team were Doug Church as a programmer and Doug Wike as lead artist, with Paul himself acting as lead designer. After some time the group produced a technical demonstration of their real-time 3D environment which they took to the 1990 Consumer Electronics Show. There Origin Systems producer Warren Spenctor saw the demo and in his own words was “totally floored by it”. The two companies quickly worked out a publishing agreement with Origin suggesting that the games be reworked to fit into the pre-established Ultima universe. 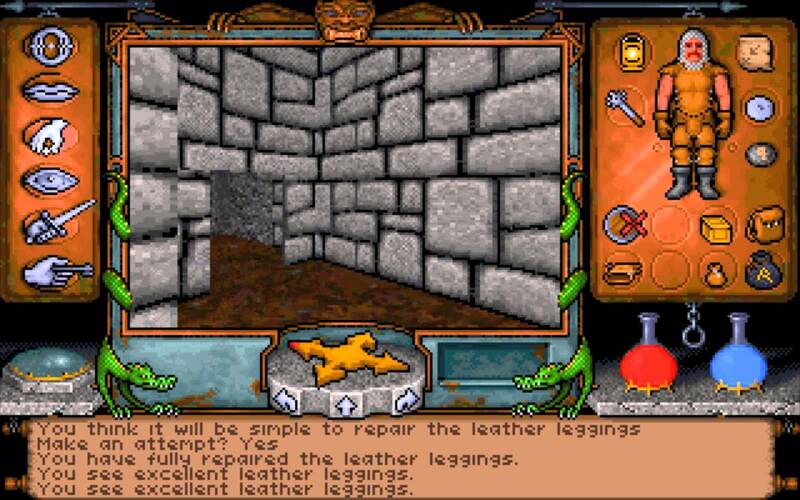 The game was subsequently retitled ‘Ultima Underworld: The Stygian Abyss’. Production was less than smooth however. A profession writer was brought onto the project to write scenarios and dialogue but left the team not long after and instead they wrote the games narrative between them as they went along. A team that Church referred to as “dynamic”, they worked according to “no set of rules or pre-written plan” which made it hard for Origin to nail down what they were working on or their progress. Using the Ultima license and world to ground them turned out to be for the best, preventing them straying too far off base. A year into production Origin began to lose faith in their ability to produce a final game, whilst Richard Garriott himself stepped in to ensure that the game fit with the franchise he’d created. The second producer on the project quit at the end of their first year and for a while they were without one at all with Spector assuming the role in person. This was described as a ‘big win for everyone” and Spector’s hands on approach helped the team bring the game to completion. The final four months of the games production ran much more smoothly and saw the game finally come together. A masterpiece of design, but a troubled development cycle plagued this game. The Underworld engine uses two dimensional sprites for characters but features 3D objects and uses physics to calculate the motion of thrown objects and missiles. A smooth lighting model was implemented but removed as it made the engine run extremely slowly. Importantly, a persistent 3D environment had been created two years before ‘Wolfenstein 3D’ would be released and spark the first person shooter genre boom. The game was not a commercial success at launch, which when coupled with the difficulty of working with the team caused Origin to decrease its marketing support. Slowly however popularity increased due to word or mouth and the loyal Ultima fanbase. It received critical acclaim for its 3D presentation and won the Origins Award for Best Fantasy or Science Fiction Computer Game in 1992. A sequel, entitled ‘Ultima Underworld II: Labyrinth of Worlds’ was created and produced by Warren Spector, which saw completion in 9 months and was hoping to be released early in time for Christmas of the same year however a game crippling bug caused a delay to January 1993. Although improving on the original in a number of ways, a third instalment into the series was never commissioned by Origin, who were working closely with Richard Garriott at the time on ‘Ultima VII’. The seventh instalment into the critically acclaimed Ultima series was released on April 16th, 1992. It introduced minor changes into the series, including that the world of Britannia is no longer presented as a grid to allow for freedom of movement and the maps can contain multiple layers allowing for items to stack. 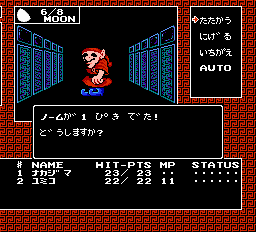 The game is also the first entry to the series to be full-screen as opposed to having a portion of the screen reserved for dialogue and buttons. The first game in the series to be entirely mouse-driven with the use of optional keyboard hot-keys to streamline some common actions, in-game characters actually recommend that a mouse be used to play Ultima VII despite the game being playable using a keyboard alone. At the time of release not every computer was expected to have a mouse, and this leap shows confidence that this is the direction in which the desktop RPG is turning. This allowed for players to drag and drop items out of pop-up menus, streamlining the games nature substantially. A ritual murder starts the plot on an adult note. The world of Britannia is rendered entirely in real-time and pauses only when the player accesses his/her inventory or when dialogue is displayed on screen. This caused substantial changes to the combat system, with the player put in charge of the Avatar whilst AI controlled the rest of the party to enable them to act in a real-time fashion. As up to 8 characters can be in the party at any one time in addition to the player, this alleviates micro-management of them all, although the AI was capable of making mistakes that could cost the player dearly. Extensive character dialogue and the first use of dialogue trees are also implemented. The games story revolves around the Avatar once more, who this time is taunted by a red giant known as the Guardian. The Guardian claims to have guided Britannia to a time of peace and protects it better than you ever could, inviting you to come see it for yourself. Leaping through the Moongate and transitioning into the fantasy world there is no sign of the Guardian, however a local murder needs solving and it’s up to the Avatar to do it. Throughout the game the Guardian will appear to taunt the player, encourage them to take certain actions or simply remind him/her of his presence, with a growing sense that he’s not on the level. Eventually the mystery of the Guardian and his nature is revealed however in a manner that adds depth and complexity to the way the world of Ultima works. Elements of Ultima VII are inspired by the conflict between Origin Systems and their competitor (and later owner of the company) Electronic Arts. The company’s hold out against EA lasted a considerable while and with the Origin motto being ‘we create worlds’ it seemed to inspire Richard Garriott to write the Guardian in the image of EA, the ‘destroyer of worlds’. The three evil generators created by the Guardian in the game took on the physical shapes of the contemporary EA logo, a cube, sphere and tetrahedron. Similarly characters Elizabeth and Abraham (E and A) are also introduced as friendly but later turn out to be fierce murderers. Equipment and items packed into the player’s bag. 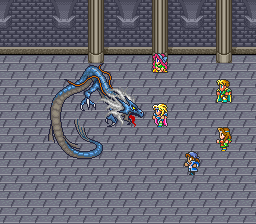 A SNES version of the game was released, created by a small division inside Origin, however the size and shape of the game had to be dramatically reduced and other playable characters were cut to create a solo adventure for the Avatar. This version was extremely poorly received but met with good sales. A PSP port was announced by EA as a part of EA Replay and was released in the United States in 2006 but never made it out to Europe. The main game itself was immensely well received and was given two expansive additional releases containing new content to expand on the main game. The first, ‘Ultima VII Part 2: Serpent Isle’ was released in 1993 and contained a large story set in a whole new area of Britannia. Sadly rushed to completion it ended on a cliffhanger than the release of ‘Ultima VII Part 2: The Silver Seed’ concluded in addition to adding new items, quests and locations to the game. Both take place in the Serpent Isles and are fully self-contained stories that take place after the conclusion of VII sees the Avatar trapped in Britannia and unable to return to our world. After a new team made the somewhat disappointing (but very ahead of its time) ‘Phantasy Star III’, the original group largely reformed to take on the series swan song on the Sega Mega Drive. Having shepherded the franchise from its earliest incarnation on the Master System through to the 16-bit generation and beyond it was time for the original Phantasy Star saga to end on a high note. That they managed to produce one of the most impressive titles ever to grace the system in doing so and ensured that the franchise would be revisited at a later date only served as by-products of this original aim. The game takes place 1000 years after the events of ‘Phantasy Star II’, putting it 2000 years after the original ‘Phantasy Star’ and possibly simultaneously with ‘Phantasy Star III’. Set once again in the Algol solar system, which is in a state of slow decline after the destruction of the AI known as Mother Brain. People struggle to survive against an unforgiving climate and the resurgence of monsters. The player takes on the role of Chaz Ashley, who along with his mentor Alys Brangwin makes a living as a Hunter, performing various mercenary tasks. A seemingly random string of occurrences all tie back into the system-wide crisis and a sinister force is attempting to speed Algol’s decline. Accompanied by a varied group of allies, Chaz must track this evil to its source and preserve what little of Algol remains. Bosses seemed huge on screen at the time. Visually the game is a stunning mix of sprite work and manga style illustrations that are used to play out key scenes in a format close to that of a comic book. The Mega Drive was unable to play host to animated cinematics at the time without the use of the Mega CD peripheral and the implementation of these scenes works as a powerful storytelling tool due to the sprites themselves lacking features to emote. A fairly standard JRPG in its exploration and systems, the game does feature both the ability to combine special techniques to perform more powerful attacks (15 of which were advertised in the games manual but only 14 have ever been discovered in-game) and a macro system that allows for players to devise combos that the whole party can undertake in battle. A pre-curser to the ‘autofight’ option seen in many mobile RPGs today and building upon a similar system implemented in ‘Phantasy Star II’. That such a system was capable of being implemented on the Mega Drive, with every move and action taken into account was a work of programming genius. Directed by Reiko Kodama and Toru Yoshida (who also served as the games resident artist), the game was internally developed and published by Sega. Composers Izuho Numata and Masaki Nakagaki completed work on a soundtrack that received a lot of attention and praise upon the games release, pushing the capabilities of the Mega Drive to their limits. Released in Japan in 1993, the game wouldn’t reach the west until 1995 and was the only Phantasy Star title at the time not to be translated or published in Brazil by Tec Toy. Included in the Phantasy Star Collection for the Sega Saturn, there was also a Windows port in 2004 as well as its inclusion in the Sega Genesis Collection for PS2 and PSP and the Sonic Ultimate Genesis Collection on xBox 360 and Playstation 3 consoles. The game sold well and received strong reviews across the board, ranking at number 59 in the top 100 RPGs of all time list from IGN. Combat made clever use of macros. Phantasy Star IV: End of the Millennium would be the last single player Phantasy Star experience, with Sega setting their sights on more ambitious goals for the series’ next instalment. Released in Japan as ‘Seiken Densetsu 2’ (which translates to ‘Legend of the Sacred Sword 2’), Secret of Mana is the direct sequel to Final Fantasy Adventure on the Game Boy, which was released in Europe as ‘Mystic Quest’ which was also created, directed and designed by Koichi Ishii. Ishii, who had worked on various entries into the Final Fantasy series, has gone on record stating that he feels that Secret of Mana is more ‘his’ game than any other project he’s been involved in at Square and Ishii poured a lot of his energy and enjoyment of the subject matter directly into his games. Secret of Mana was programmed primarily by Nasir Gebelli and produced by veteran designer Hiromichi Tanaka (who jumped ship from ‘Final Fantasy IV’ to work on this title). 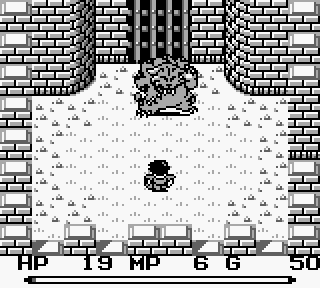 Building on the foundations of ‘Final Fantasy Adventure’, the team took advantage of the better graphical prowess of a console over a handheld to include bigger and more detailed sprite work than was uncommon outside scrolling beat-em-ups at the time and reintroduced the concept of the power gauge that refilled to measure attack strength. Instead of having only a single temporary companion for some aspects of the adventure, two AI controlled full-time partners were added to form a party of three. These allies could be upgraded and equipped with items in the same manner as the main character and using a real-time battle system enabled them to be frequently involved in the action. 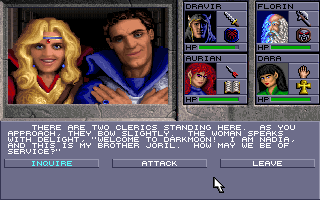 Having programmed the AI for these companions the game’s greatest addition to the RPG genre was implemented. Through the use of an adapter up to three players could enjoy the game simultaneously together in local co-op, a feature that had fallen by the wayside or been completely ignored in most RPGs to that point. This inclusion alone helped to sell copies of the game, as the relatively solo-orientated pastime of playing video game RPGs was expanded to include friends. Originally planned to be a launch title on a planned SNES-CD add on that would copy the success that the Sega CD had achieved with ‘Lunar: The Silver Star’, Nintendo would burn Sony in favour of working with another company and eventually the product was scrapped before release. Switching instead to the regular SNES, the game was altered to fit onto a regular game cartridge rather than a more expansive CD. Many considered quitting or cancelling the game at the time, with the team feeling that they would have to make too many sacrifices for the title to work on the reduced format, but management at Square insisted they continue as time and money had been invested in the title. Tanaka has gone on record to state that the game was originally intended to have a much darker tone, but that in cutting material a more child-like and fun game was ultimately produced. There exists some debate as to if the change of target console for Secret of Mana was a deciding factor for Square’s split from Nintendo for a CD based system later. Larger sprites than the average for the period made the game stand out. 30 days after the release of the Japanese edition of the game a translated version was released in North America, initially advertised as ‘Final Fantasy Adventure 2’ but later rebranded ‘Secret of Mana’ before release. The speed of the translation, largly due to the impending Christmas sales season, put a strain on Ted Woolsey who was responsible for cramming all of the games dialogue into the English edition. Ultimately he was unhappy with his work, having cut much of the games conversations down to their bare essentials in order to make them fit the manner in which English dialogue and characters could be displayed on the screen. He was also unhappy at being handed the script out of order, and therefore was unable to dissect the Japanese plot and reconstruct the narrative in English. As of 2004, Secret of Mana has shipped in excess of 1.83 million copies worldwide, with the initial production run running out within days of release. Despite a lack of advertisement in the west on launch, it was the second best-selling SNES game on the market that Christmas, topped only by Midway’s fighter ‘Mortal Kombat’. When placed alongside Action RPG competitors of the time such as ‘Crystalia’, the ‘Ys’ series and ‘Legend of Zelda: a Link to the Past’ its RPG mechanics and multiplayer make it extremely formidable. A Virtual Console edition of the game, as well as ports to iOS and Android devices have been well received, although the touch-screen edition’s lack of multiplayer was criticised heavily at the time. Seiken Densetsu 3 was also completed for the SNES and improved on its forbearers in kind, however an English translation was never released and the game remained in Japan exclusively. The Mana series continues to release entries to this day and is considered one of Square’s tent-pole franchises. The start of the 90s saw a boom in creativity in the RPG market, with more titles than ever being produced across a range of different sub-genres. Tactical RPGs and Action RPGs are beginning to develop in interesting ways and become their own sub-genres thanks to titles such as the ‘Ys’ series and ‘Warsong’, leading to games like ‘Secret of Mana’ and ‘Shining Force II’. Development of WRPGs has begun to move past imitation of the D&D license and into genuinely creative avenues, with ‘Ultima VII’ practically counting as a trilogy of games in its own right and setting a new standard for ambition within a title. ‘Eye of the Beholder’ meanwhile revels in the chance to delve into a more visceral real-time environment and piles innovation atop the tried and true dungeon exploration mechanics. JRPGs are hitting their stride, and are now very different in tone to those games made in the west. ‘Dragon Quest’ and ‘Final Fantasy’ have established a formula for storytelling that takes messy character creation out of the equation and replaces it with a cast of colourful characters that may lack the customisation of earlier titles but help to drive a tightly scripted plot into the hearts of their players. Whilst WRPGs are finding their strengths in player choices and expansive worlds, JRPGs are knuckling down into more linear games with stronger narratives to discover. Sega and Nintendo continue to go head to head in the battle of the RPGs, with ‘Shining Force’ and ‘Phantasy Star’ IPs rivalling ‘Dragon Quest’ and ‘Final Fantasy’ as games that deserve to be experienced, even if the choke-hold that Enix’s juggernaught series has on Japan can’t be broken by even Square’s first SNES instalment. Desktop games however can rest easy knowing that whilst their RPGs are released less frequently, they are substantially bigger in scope. Nintendo, home to many of the biggest brands courted Sony and subsequently burned them over the creation of a new CD based console, a move that would come back to haunt them when Sony decided to produce their own console out of spite. We’re only just entering the 90s however, and there are substantial additions to the genre to be made before the decade reaches its conclusion.